A natural wool throw on a bed, or chair, or settee is welcoming, attractive and warm. 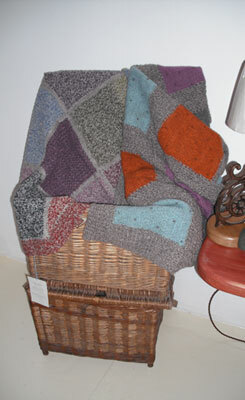 These throws use a variety of designs and combinations of types of stitch and natural and dyed colours. Some of the throws are woven for me at Melin Teifi based at the Welsh Woolen Museum; some of the throws are all hand-crocheted.